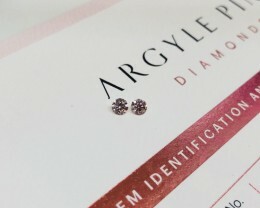 The Argyle Pink Diamonds come from the Argyle Diamond mine, which is located in a remote region in the northern part of West Australia known as East Kimberly. This is a notable diamond mine because it is currently the largest diamond producer in the entire world. However it is expected that this mine will be closed by 2020. It is also notable because this is the only mine that is a significant source for red diamonds and pink diamonds, accounting for over 90 percent of the supply across the globe. This is a diamond that has a rich history around it. 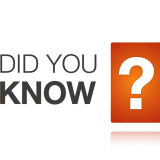 The first diamonds in this area were discovered sometime during the 19th century when prospectors were searching in the area for gold. They had a difficult time finding the source but in the time around 1969, people decided to hunt down the source of these rare diamonds. The mine was commissioned officially in 1985. The diamonds that are produced here are typically of average low quality and it is believed that less than 1% of these are pink. This means that they are a rare gem to have in your jewelry, making the wearer feel like they are wearing a one of a kind piece. 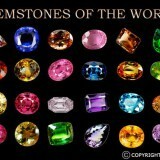 Being so rare and gorgeous, these are gems that are highly sought after. These gems can vary between a pinkish champagne color and an almost red color. 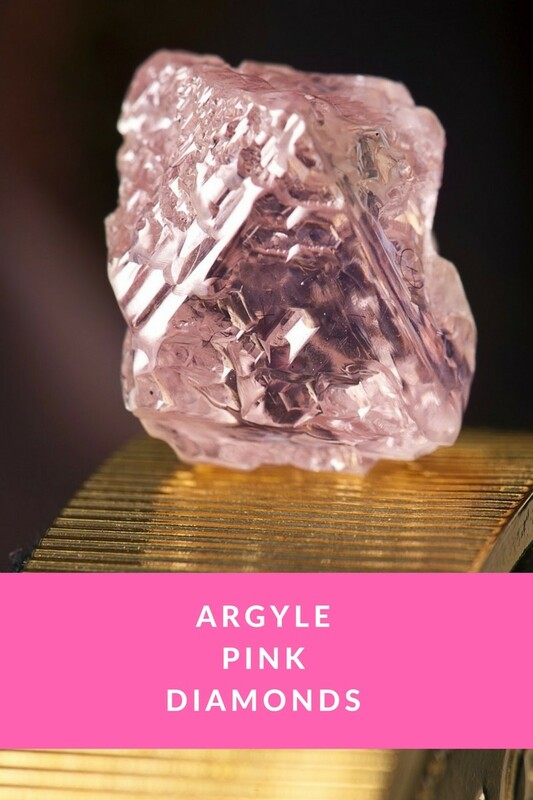 The Argyle Pink Diamonds are truly remarkable gems but there is a higher price tag that often comes with these naturally occurring colored diamonds. To show this, you can look at the auction history to see how much they sell for. The Argyle Pink Diamonds Tender collections of these diamonds in 2013 had stunning pink diamonds that ranged between 0.20 carats and 3.02 carats, which surprised all of the people making predictions by being sold beyond their estimates. 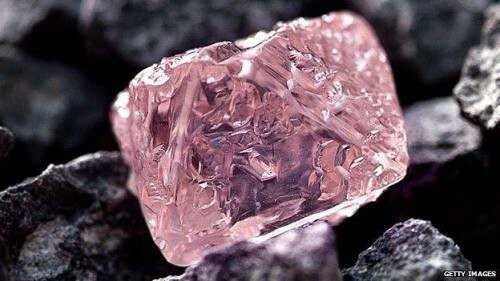 Argyle Dauphine was a 2.51 carat diamond that had a very deep pink color to it. 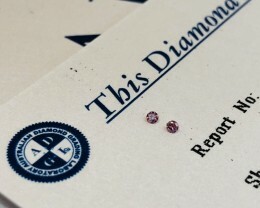 This specific diamond ended up setting a world record for the highest payment amount for any Argyle diamond. The most famous of these diamonds is the Argyle Pink Jubilee. This was the largest unearthed rough pink diamond from the Argyle Diamond Mine, weighing around 12.76 carats. After polishing, this diamond ended up weighing 8.01 carats and it was discovered in 2011. They attempted to cut this gem but they realized that there was a fault that was too great to accomplish this goal, so they opted to polish it instead. The Argyle Pink Jubilee ended up being donated to Melbourne Museum. These are gems that people want to have. Everyone has a stunning and clear diamond, but how many people do you know that wears a naturally pink diamond? 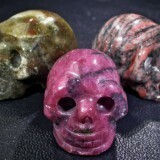 The reason that you are going to pay a lot for the Argyle Pink Diamonds is because they are so rare. If you want to get that incredibly unique look for your jewelry, this is really the option you are going to choose for. I lived in Perth Western Australia for 6 years. During that time, I established connections in the diamond industry, as my speciality was Black Opals. In social functions I meet people associated with diamonds from the Argyle mine. These people were Diamond Cutters and Graders. It was interesting listening to them talk about diamonds that they had graded for the day, and how rare pink diamonds were, especially the more expensive grades. They talked about how they sent lower grade diamonds to overseas to get cut but cut the best diamonds in a Perth Suburb. Top security clearance is needed view these premises so I was fortunate to be invited with to go with registered buyer for coloured diamonds To purchase direct you have to be invited and they have strict rules and regulations to be buyer so no one can buy direct, you have to go through an approved buyer. 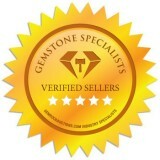 With This approved buyer I was with was offered six parcels from $100,000 to $250,000 of coloured diamonds. 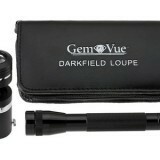 In confidence I can not give the exact figures or weight sizes of the parcels or single diamonds. He had to purchase at least one parcel and if he did not he would not be invited back again. 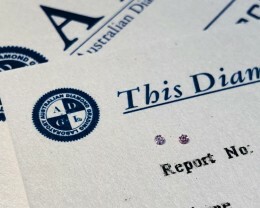 We purchased 2 parcels for $360,000 One parcel had 3 large pink diamonds all over 1.50 carats and lot light pink diamonds from 0 .07 pointers to average size0.25 and champagne coloured diamonds around 0.20 carats Another parcel had more commercial range of pink diamonds over 0.30 carats to largest size just under one carats, but this parcel I was interested in as full spectrum of pink colours for light pink to Vivid Fancy Purple Pink to one diamond beautiful pink with good clarity and weighted .95 carats. I won’t mention clarity and sizes as trying to be vague as I still have exact invoice copy of the magical coloured diamonds This was late 1998. So I had buyer in Japan interested in a one carat pink high grade diamond. So I went to Japan and sold this beautiful Vivid Fancy Purple Pink diamond for $88,000.00. Customer was very happy with this pink diamond and I visited her jeweller and we designed an elegant platinum ring for her. In this time demand had way out stripped supply for pink diamonds as production had not increased and was actually falling. I was in Sydney Australia for the Olympics in 2000 and had customer after a one carat pink diamond So I visited few wholesalers and the pink diamond that was closest to one I sold was wholesale to me of $220,000.00 Yes my cost, I was flabbergasted that’s 250 % increase in price in around 2 years. Red Fire in black opals I collect as they always go up more in vale than normal opals, and pink diamonds are exactly the same from investment point of view. The rarer an item the better the investment with pink diamonds less than 1% of Argyles productions, and diamonds over .50 carats are scarce also, so it makes really good investment to own something of beauty and value. Now I have a few pink diamonds and enjoy them ,most my pink diamonds are light pink ,soft pink around 0.20 to 0.30 pointers light to fancy light pink diamonds I have set few these in 18k white gold rings, we make 18k yellow gold bezel and set pink diamond in them ,than set in white gold ring or platinum ring and plate in white gold and pink diamond goes from pastel pink to fancy light pink and looks good . 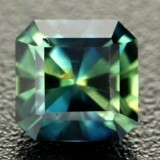 It is pleasure and immense enjoyment to own magical creation of Mother Nature in a rare coloured diamond. 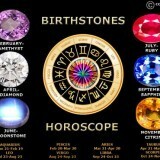 Most diamonds I do not consider to be an investment gemstone. Unless an item is rare it cannot be a good investment! Diamonds 2-4 carats, high clarity with little or now inclusions are a reasonable investment but coloured diamonds will increase double there value. Its not too late to buy coloured diamond for investment and pleasure Forget about 2-3 carats, so expensive now Investment on a rare coloured diamond of around one carat, important to have minimum of inclusions and as bright as you can afford. My field expertise is in black opals, the rarest of opals is the red on black opal which is also in the same league as pink diamond for its rarity and investment value. 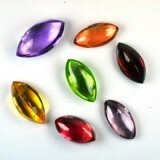 , but I associate with many miners and wholesalers in the gemstone industry. I have been Broome Western Australia and appreciate the amount of work that goes into farming pearls, very capital expensive and I can appreciate the rarity of large strands pearls all matching. It’s so hard for Mother Nature to make matching high quality pearls. I have visited the gem factories Sri Lanka and impressed by beautiful sapphires. 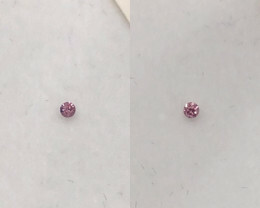 I had no idea than how pretty party coloured sapphires are. They are also rare in nature. In Burma (Myanmar) I visited Ruby mining just across the border from Thailand. It was interesting to view the basic mines and see how they cut top gem rubies on very basic faceting equipment. like and old wheel run off a generator and faceting a 3 carats gem ruby , this horrified me, the cutting was real bad for such good gem. So I purchased rough and had it cut in Thailand by professional cutters of rubies. I have not visited the Emerald mines of South America but I will visit them as Emeralds are clean beautiful gem I enjoy so much also Gemstones with vibrant colours gives the owner lot of satisfaction. It is also the rarity that the owner can enjoy, like owning a meteorite or moldavite form outer space that no other human has touched, or enjoyed the spectrum of colours, like when you dig for opal and your first person to hold this opal is so good feeling and so much pleasure to miner, than the cutter polishes and exposes the colour of the opal, it is magical high feeling Well PINK Diamonds also are up there as top investment gemstone and you should seriously consider purchasing one NOW!